Holidays! 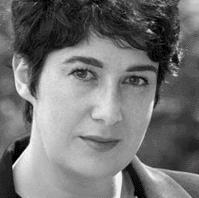 As I browsed the diary of events to find the best day for me to attend I noticed that Joanne Harris was speaking in the evening session on the final Friday. My mind was made up. I have enjoyed her novels for a long time and I wanted to meet the person beyond the moody black and white photographs that adorn dust jackets. Like most readers, I began with Chocolat, but I hasten to add that it was before its famous screen reincarnation with Juliette Binoche and Jonny Depp. I moved swiftly through Blackberry Wine, read on a spring holiday in Somerset, where I was heard to exclaim, "The narrator is a bottle of wine!" From this I enjoyed Five Quarters of an Orange, and I was hooked. I was impressed by the writing style, command of narrative and the credible and sympathetic characterisation. But I hit a stumbling block with Coastliners, Holy Fools and Sleep Pale Sister. The first seemed more pedestrian than the others I had read, whilst the latter two were a bit ethereal. The magical realism in Chocolat had been subtle, but the spirit connections in these three were more centre stage than I would like. I had quite a break from fandom for a while but was enticed back by Gentlemen and Players. This was different again, and that is certainly a talent of Joanne Harris: she is not a stock author. Her stories are original and different from one another with no hint of formulaic tendencies that can make successful authors somewhat predictable. And so to hear the prolific writer speak. To be honest, I was expecting someone an little enigmatic, perhaps because of the whimsical and spiritual that weaves its way through several of her titles. It was delightful therefore, to meet someone down-to-earth and funny. She was there to talk about her latest novel, A Different Class. It is set back in St Oswald's School, the setting of Gentleman and Players and takes place a year after the events that form the twists and turns of that novel. Having promised myself that I wouldn't buy hardback novels just because I was swept up in Literary Festival enthusiasm, I promptly purchased the hardback (as then not yet available in the shops)! The lure of a signature from Joanne Harris was too much to resist. And so, having purchased the new novel, I needed to re-read the first in the set. A third title, Blue Eyed Boy also follows the same setting, but although published prior, it is chronologically the third in the sequence. And so to the nitty gritty of a review of Gentlemen and Players. I hesitate to call it a thriller, but it isn't "just" a school novel either...more of a Malory Towers with malevolence! Indeed the dark side of the novel is foregrounded without subtlety in the opening sentence, "If there is one thing I have learned in the past fifteen years, it's this; that murder is really no big deal." Despite the somewhat obvious flagging of danger, the narrative is fun, and it plays with the reader. Told in two voices, both in the first person, it is easy to identify the warm and sincere tones of Mr Straitley, a Master at the school for "ninety-nine terms strung across the years like paper lanterns." In the first page of his story he announces, "One more term and I'll have scored my century. one for the Honours Board at last. I can see it now; in Gothic script: Roy Hubert Straitley (BA), Old Centurion of the School." And he is a bastion of tradition. Slightly stereotyped in tweed jackets with a penchant for his graduate gown beyond the classroom doors, his portrayal is fond. He knows he is a stereotype of the old school and recognises the demise of his breed as the "suits" sweep in and take over the school. Harris taught for several years before becoming a full time writer, (and yes, I would quite like to be her!) and her experience is evident as she recreates the ambience of a classroom, the small time politics of staff room gossip and the tensions between new ideas and embedded tradition. But Straitley is liked by the boys and is unwaveringly loyal. He is sentimental about his old boys and never forgets any that he has tutored. On the other hand, the second narrator is far more elusive. There is no introduction beyond a contextual one, "I was nine years old at the time of our first encounter." This is a reference to St Oswalds, and despite the fact that we are not formally introduced, we are quickly drawn in to the world of a young child brought to the Old Gatehouse when John Snyde was given the job of Porter at the school. The older pupils going about their sports and their studies and the lure of of knowing that the school buildings were out of bounds creates insatiable curiosity. "Nevertheless, for the first few months I obeyed without question...I kept to myself;stayed out of the house; played in the snowy woods behind St Oswald's and explored every inch of the school's perimeter - making sure never to cross the forbidden line." The desire to see was however overpowering and the reader has empathy for the lonely child with a drunken father who seeks to look into a world denied by their own pitiful education. Thus the story unfolds with adventures into the forbidden, friendships forged and pretences established and then maintained. Julian Pinchbeck is created, an alter ego that acquires uniform from lost property and joins the school from time to time, appearing in class photos, attending odd lessons and indulging in the privileges offered by St Oswald's. This all appears harmless, and yet the narration always carries tension, an undertone of seemingly unwarranted malice. And so it is that the worlds of Pinchbeck and Straitley collide with far reaching effect. The plot is complex, spanning nearly two decades and keeping the reader guessing as to who the second narrator really is. Revelation doesn't fully occur until the very closing pages. This is a very satisfying read. Even having read it before, and remembering some of the key twists and turns, this novel still maintains its tension. I was not disappointed by Joanne Harris. She was genuine and enthusiastic about her novels, and she told very funny anecdotes about her life in school. I loved the tale of her physics colleague appearing fairly undisguised in Chocolat, and her needing to confess her pilfering of his character before he recognised his depiction on film! I was brave enough to ask a question in the Q and A session following the talk and then I queued for that inevitable purchase! I left inspired, a little awed by her success and perhaps a little in love with the life that she has! But back down to planet Karen and the need to read four non-fiction titles in preparation for the new A-Level syllabus.....but, I don't need to teach any until the beginning of June, so I think there must be time to squeeze in A Different Class first!